So I'm still here. I'm guessing judging by the steadiness in traffic you are all still out there as well. Which leads me to two possibilities. One...absolutely no one on this earth was worthy of being taken up in the rapture...quite possible what with the high expectations and all. Two....Family Radio guy was a bit off in his arithmetic. Either way tomorrow we still get some blu-ray/dvd awesomeness coming our way. Criterion definitely makes an appearance again...as it most likely will every time something is released. For those not in the know...they provide some of the most outstanding examples of DVD/Blu Ray collections imaginable with glorious transfers, some great essays, and hard to find interviews and documentaries. Perhaps my favorite "extra" of all time is on the Criterion edition of "Contempt" in which there is an interview between Fritz Lang and Jean-Luc Godard essentially talking about their different styles for a bit. If that doesn't blow your mind hole then please add it to your queue or pick it up whenever you can cause you're missing out. The only other company I see putting as much thought and care into their releases is Subversive Cinema...but those titles are...hmmm....maybe not for everyone. So let's get started. Mr. Funkowitz's choice for release of the MONTH is here today. Before we go any further I just wanted to say that Chaplin was a genius...but you already knew that. This film is not my favorite of his(that lies with City Lights) but is still one to be excited about if only for its historical importance. Criterion gives us his first "talkie" with this rather blunt satire of Hitler as Chaplin plays the fascist dictator of Tomania and a Jewish barber who gets mistaken for the dictator. Chaplin was always one to put social commentary into his films whether it was his views on the industrial revolution and a very awesome pre big brother big brother with Modern Times, or his heartbreaking examination of love in City Lights. He rises to different heights of political satire with this film, taking shots at Hitler before the war was even over. 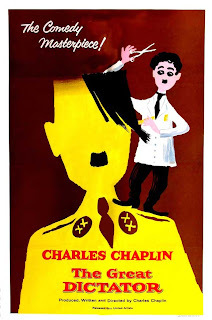 Criterion's release has a documentary "The Tramp and the Dictator" in which Chaplin's and Hitler's lives are paralleled which is exactly the kind of extra I look forward to with these Criterion releases. I can't wait to dive into this set. Seen the remake by Soderbergh? Good now watch this version and be prepared to be blown away. Soderbergh did some good work creating a very respectful adaptation but Soderbergh's naturally kinetic camera could never capture the proper cadence of for such a deliberately paced film. 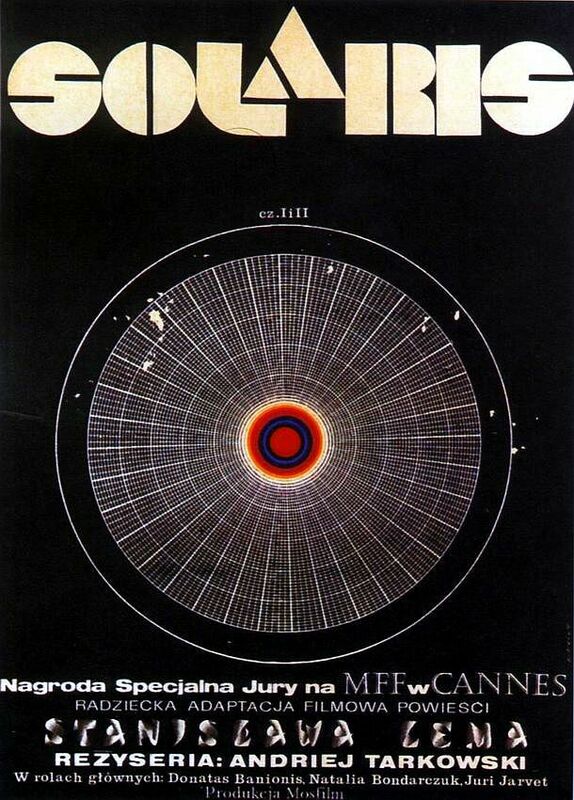 Tarkovsky presents a science fiction story about a cosmonaut going to explore the Solaris space station and encountering certain "phenomena" involving the dead somehow appearing in people's consciousness. Alright truthfully...Tarkovsky is an acquired taste. He is not for everyone, if you have ever seen Malick's films imagine that but even slower. That is enough to turn most people off, but like Malick determination and perseverance will expose you to one of the greatest filmmakers of all time. 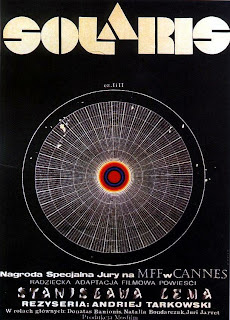 Solaris is a great place to start. Then I suggest moving on to Ivan's Childhood...and ultimately Andrei Rublev his 3hour plus masterpiece. For those ready to expand their cinematic minds....this would be my choice for you. Quite possible the only Schumacher film I like. That is most likely due to two things. First off this film was shot by Matthew Libatique, you may know him as Darren Aronofsky's DP on all but one of his films. He shot this film using digital cameras, but this isn't digital like the RED cameras ...this is digital like Canon's Prosumer line..think XL1. 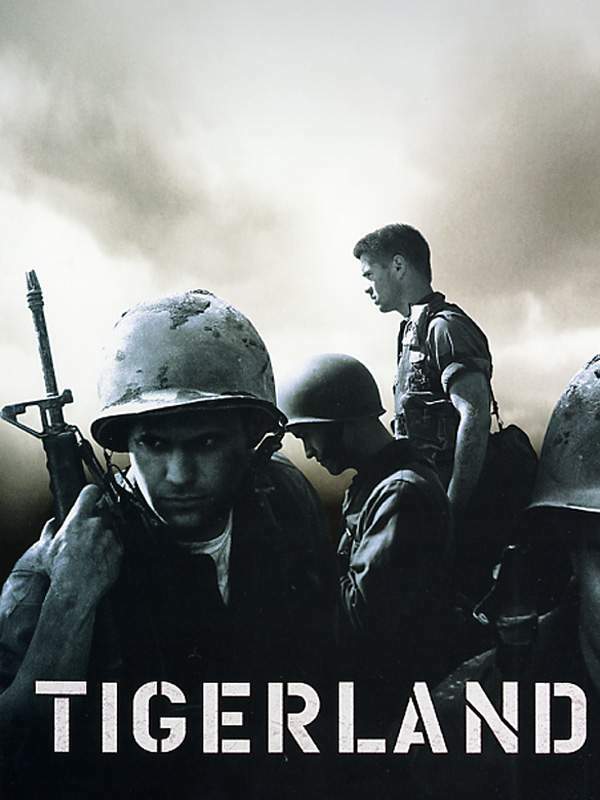 So the film is grainy and rough throughout and it fits perfectly with this story of soldiers going through a rigorous bootcamp before being shipped off to Vietnam. Libatique takes full advantage of the size of the camera putting it in every nook and crevice he can think of to get some unique shots for the medium he's using. Second this is Colin Farrell's introduction to American audiences. Now I feel like Colin has gotten quite a bad rap but personally I love the guy. If you ever question his acting abilities go watch In Bruges, but here he plays a headstrong rebellious recruit who decides he's going to take it upon himself to "save" as many recruits as possible by figuring out different ways to get them discharged before they are deployed. Like I said, probably the only Schumacher film I like. Platoon comes out too which I like, but this one has far less exposure so I thought I would write about this instead. That about does it for this week. Some really strong releases again and it looks like next week is no different. Be sure to check out Hawks breakdown of this week's releases in music. 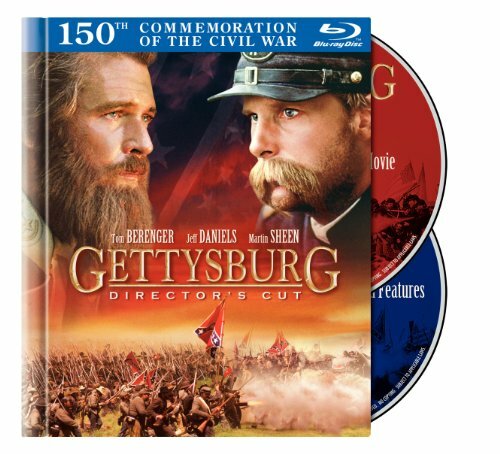 One last thought - just for you Mops....Gettysburg on Blu Ray....yes that's right dreams do come true.